Stay in England to quickly improve and perfect your English, while working in hospitality/catering. The “English Course + Job in England” programme is ideal for young people who wish to make their their CV stand out by adding a professional experience abroad. You will benefit from lessons in small groups, participate in a variety of activities and trips organised by the language school as well as working for several weeks in the hospitality and catering sectors. We offer you a language course which enables you to study English in an intensive way and combine your lessons with a paid job in hospitality. By the end of the course you will have significantly improved your written, spoken (pronunciation and expression) English as well as your knowledge of grammar. Registration Conditions: Our programmes are for young people aged 18 to 30 who have a B1 level of English. To maximise your chances of getting a place, send is your application form as soon as possible. As a participant in the Study and Work programme, you will have 24 lessons a week. This will consist of 20 lessons (15 hours per week) of general English + 4 business English lessons (focused on hospitality and catering). The aim is to quickly get into the swing of speaking English in order to feel more relaxed and prepared when you start your job. By choosing the Bournemouth Work Training programme, you will benefit from 4 lessons of general English (3 hours per week), you will spend the rest of your time working in hospitality/catering and enjoying the English lifestyle. Classes contain a maximum of 16 students for more effective teaching. Each week you will also participate in free private lessons to work on your grammatical weak points. PLEASE NOTE: You will sit an English test when you enrol in order to assess your level of English. If you do not have a B1 level, you must take additional general English classes (15 hours per week), before you can start working. Our partner is responsible for finding you a paid job in hospitality/catering, part-time or full-time, before you leave for England. You do not need to have any experience, your level of English is the only thing that matters. With the Work and Study programme, the language school can find you a job in any part of England, whereas if you choose the Bournemouth Work programme, your job will be based in Bournemouth. Your working hours will depend on the placement and will be communicated to you before you leave for England. 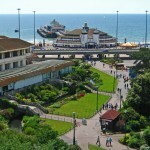 The language school is in Bournemouth, a city located on the south coast of England. This cosmopolitan coastal city is perfect for all young adults who hope to learn English. There are numerous festivals, beaches stretching for kilometres, as well as a buzzing student atmosphere. 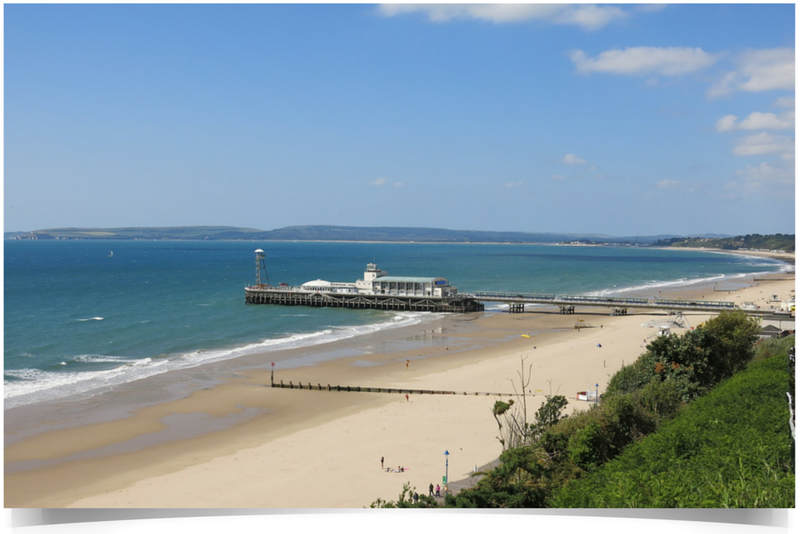 Bournemouth attracts many people thanks to the wonderful quality of life it has to offer and its proximity to England’s main cities (London, Oxford, Bath…). Don’t worry about sorting out your accommodation, your employer will take care of that! Your employer will ensure that you have somewhere to stay for your entire placement – in the hotel you work in. 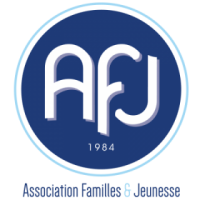 You may be asked for a small financial contribution, which will be taken directly out of your salary. PLEASE NOTE: the payment is made once your dossier has been sent to the language school and your placement has been confirmed. PLEASE NOTE: the payment is made once your departure date has been confirmed. These fees include: the English lessons which are included in the programme, the job search fee, the transfer cost between the language school and your employer, the accommodation search fee. Prices may change depending on the exchange rate. If you do not have a B1 level of English, you must take additional general English classes before you start the Course + Job programme in England. To discover the “English Course in England” programme and to see prices: Click here. Choose from some of the most affordable linguistic programmes on offer!